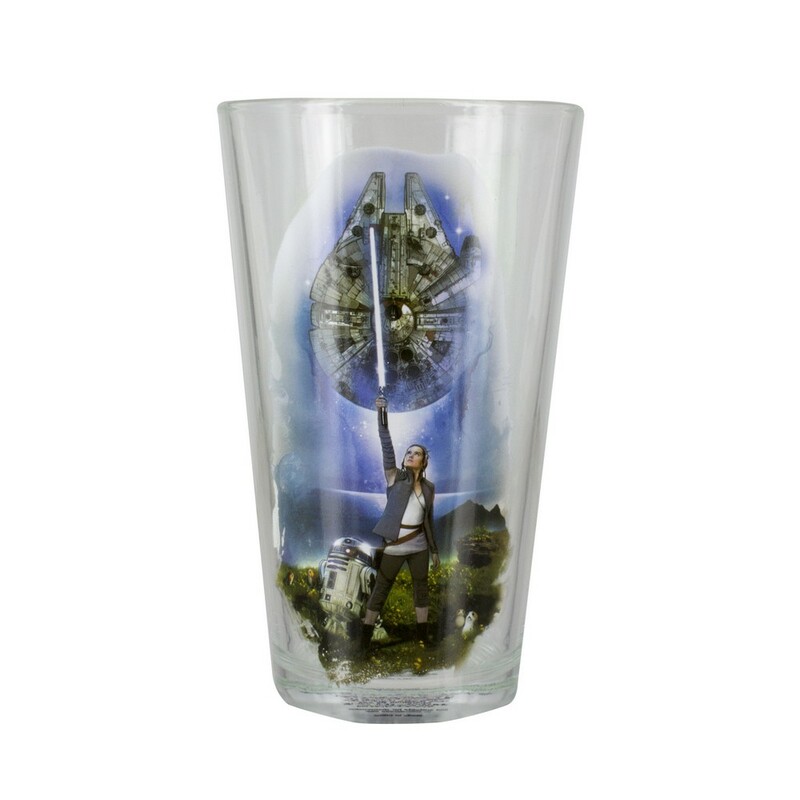 Take a break from the latest epic Star Wars battle with this officially licensed Star Wars: The Last Jedi glass. 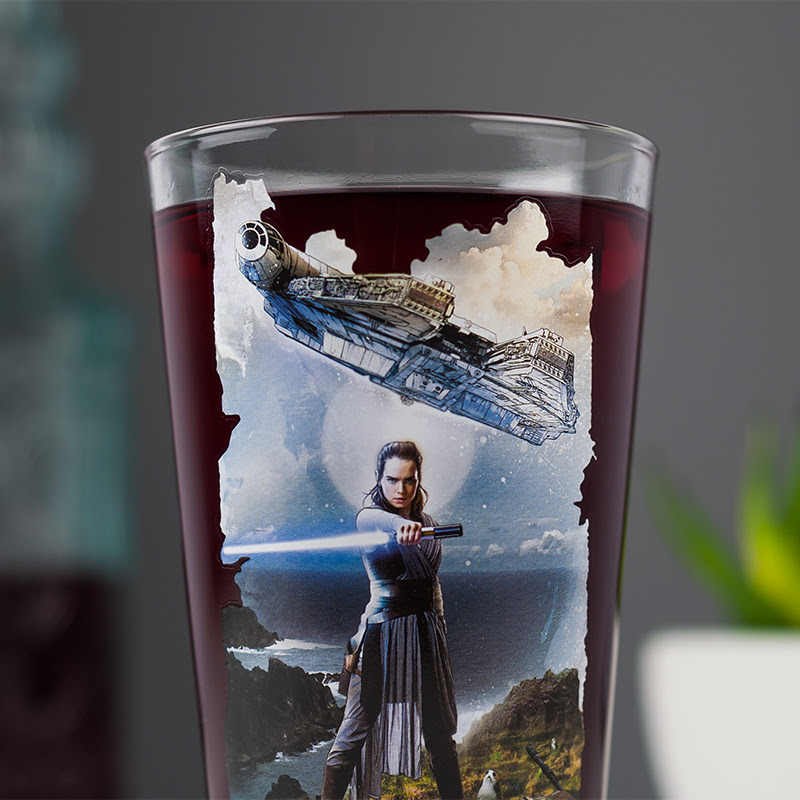 A refreshing 400ml (13.5oz) glass inspired by the eighth instalment of the blockbuster franchise, the glass features iconic artwork from Star Wars: The Last Jedi, including lead character Rey and the legendary Millennium Falcon. Star Wars has been one of the most successful film franchises in cinema history since its original release in 1977, quickly becoming a defining moment in popular culture. 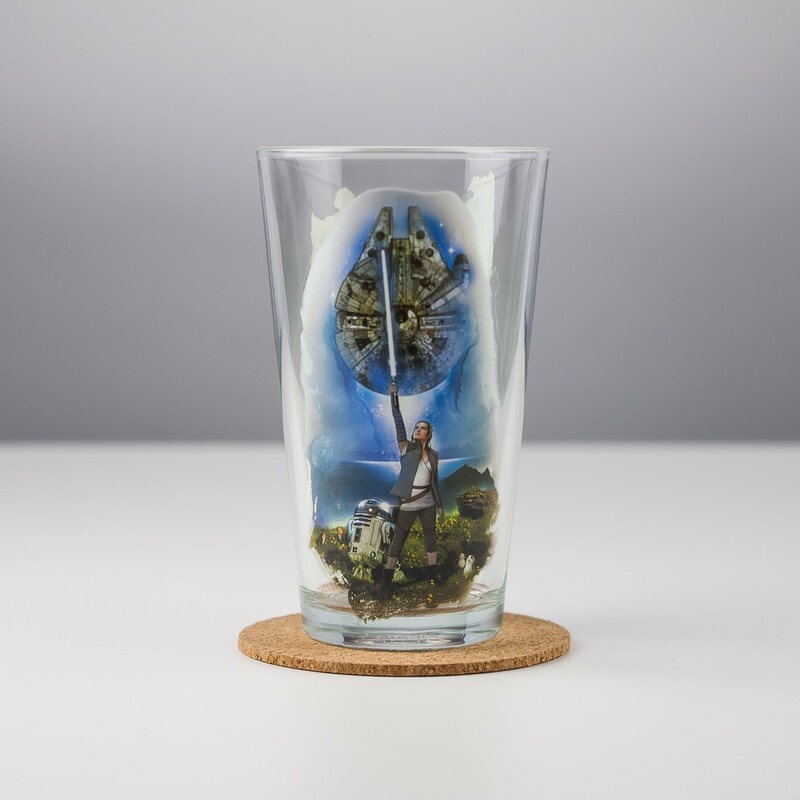 The series has continued to win new generations of fans with each instalment, resulting in a global fan base of millions. From A New Hope and Return of the Jedi through The Phantom Menace and Attack of the Clones, right up to more recent successes such as The Force Awakens and The Last Jedi, Star Wars continues to reach new heights by introducing great new characters as well as focusing on old favourites. 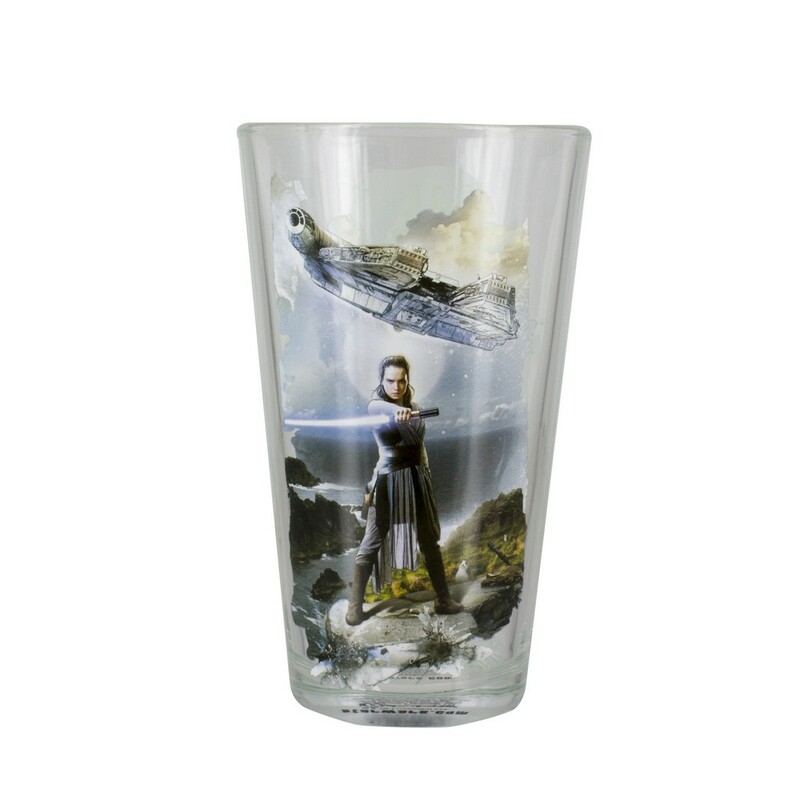 Star Wars Episode VIII: The Last Jedi is the latest film of the blockbuster sci-fi/fantasy saga, and follows the story from 2015’s The Force Awakens. 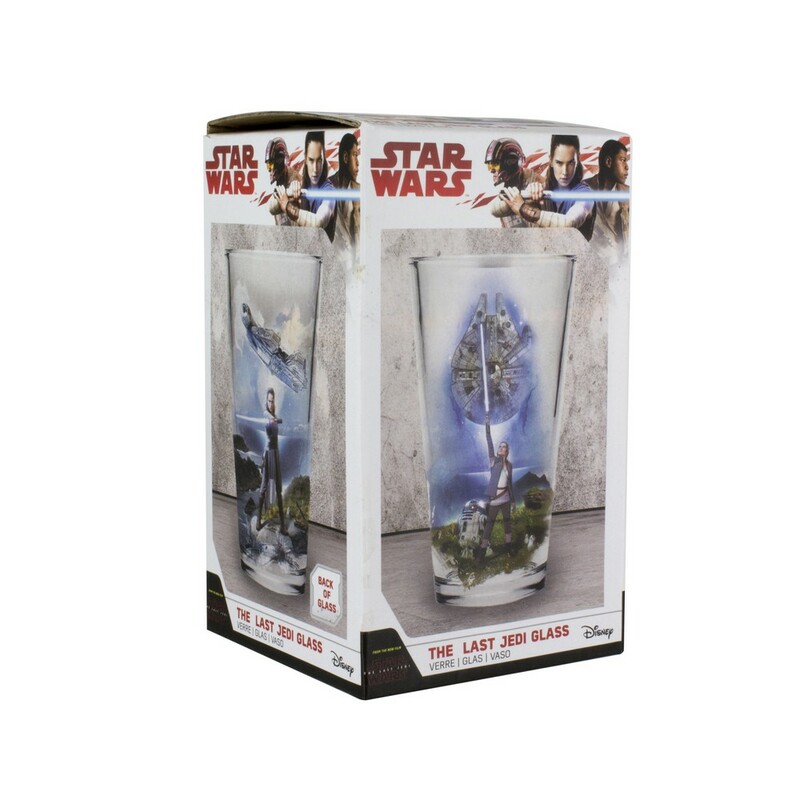 The Last Jedi Glass is an officially licensed Star Wars product.